I consider good audio to be a vital part of the TV viewing experience. I truly believe that a great audio system makes a home theater. Hallelujah! With that said, I have reviewed very few HDTVs that provide a worthy integrated sound system, even for normal TV watching. I have only encountered a couple of TVs that included audio that could be rated home theater quality. I suggest that if you are upgrading to an HDTV, think about acquiring a dedicated audio system, which includes an AV receiver and a 5.1 or 7.1 surround sound speaker setup. If you are buying a new AV receiver, look for one that can accommodate and switch between multiple HDMI inputs. And if you plan to go 3D, most of the 2013 models of receivers handle 3D signals. Just check before you buy. A perfectly fine 3D ready A/V receiver doesn't need to drain your bank account. I'm seeing models for under $300. Also, receiver makers are responding to the Ultra HD buzz and are creating models that pass through Ultra HD signals through their HDMI connections. Some receivers even include an HD to Ultra HD upconverting chip. To complete this audio system, you need good speakers. Though I love listening to the dulcet tones emanating from those $10,000 tower speakers, you don't have to break your budget or your floor joists to build a speaker system that will impress friends and family. In fact, some of the best speakers that I have reviewed were tiny, orbs of astounding sound. 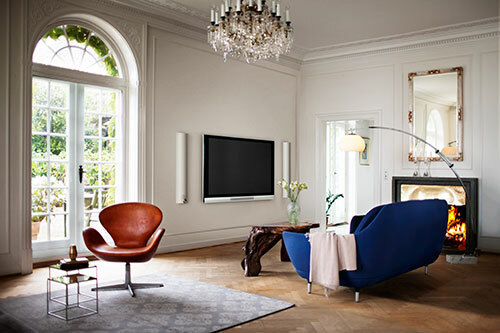 If you are not ready to commit to a full fledged, speakers-in-every-nook-and-cranny, sound system, then consider a middle ground solution called a sound bar. I have reviewed a number of them and they produce highly listenable results in compact packages. Some sound bars like the Hitachi HSB32B26, you can place under the TV and they supply left, center and right speakers in one long enclosure. Other sound bar models add a separate powered subwoofer that helps fill in the audio at the lower registers, giving a more full bodied sound. For a more surround sound effect, you can find packages that also supply two small surround speakers. 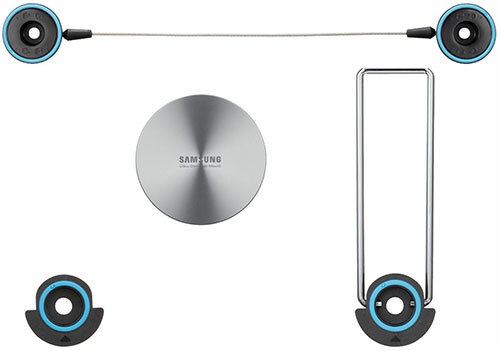 For those of you with smartphones or tablets that wish to multipurpose their sound systems, look for receivers and sound bars that offer connectivity options like Bluetooth or AirPlay. If you plan to attach your TV to other pieces of equipment like the cable company's set-top box, a DVD player or an AV receiver, you will need cables. Please be forewarned. You cannot use the Composite video connections to transport your HD signal. On your TV, you must either attach to an HDMI input or the three Component (often labeled YPbPr) inputs. You have a choice. I would suggest that you use HDMI cables because they carry both the audio and video signals. One connection, one wire, less clutter. 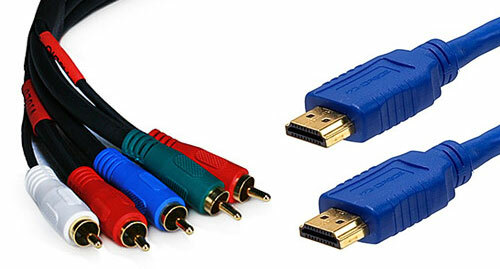 Now if your DVD player or set-top box does not have an HDMI output, then you will need Component cables. To connect the video, you use a three headed cable with Red, Green, and Blue ends. Audio requires its own Red and White connectors. The price range for HDMI cables is eye opening. I've seen 6-foot HDMI cables sell from $3 to $60. If you are not a discerning videophile, consider the more reasonably priced ones. If you think you have an eagle eye, then buy both and test if you can see a difference. When you see those ads with HDTVs floating on the wall of a country estate, you think, what could be simpler than mounting a TV in my humble living room? Nothing - if you hire a guy to come in and snake all those video and audio cables inside the sheetrock. 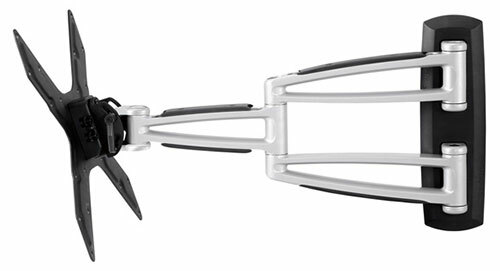 Wall mounts are fairly reasonably priced, the actual installation can be another matter. If you are a DIYer, the basic task of hanging the TV is becoming easier as the TVs are shedding the baby fat. With many new 40-inch and smaller TVs weighing under 20 pounds, they are much more manageable. Mount manufacturers are also offering simpler solutions where a heavy wire is screwed on to the back of the TV, which is then hung like a traditional picture frame. If you can't be talked out of placing your TV above the mantelpiece, please buy an articulating mount so you can tilt the TV down to where you are sitting. 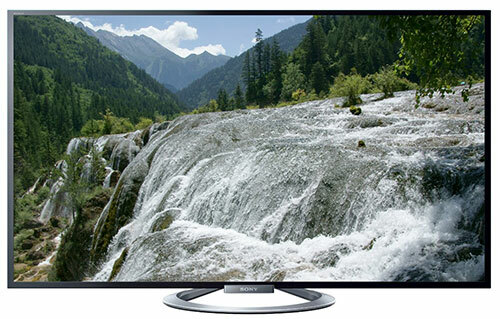 We spend considerable time and effort maintaining an up to date database of HDTVs, which you should find valuable in researching your TV purchase. If you look at the navigation list on the left of this web page, under Research are three different ways to access our database: Search by Brand, Search by Model, and Search by Features. The mother lode of data resides in the specification sheets for individual models like this one for the Sony KDL-55W802A. The tabs on that page often provide more information. And you can compare different TVs by clicking on the "+ Add to Compare" feature. If you have other shopping tips, please add your comments below. It's 2013 and this is still my go to article for this areas I need to watch out for when making a purchase. What is Hz and the difference between 60Hz and 120 Hz ? Precise, concice, exactly the kind of info a buyer looks for. Thanks. Best article I have found explaining HD TVs! Thanks! Thanks, My wife and I are going to buy a hdtv very soon. This was a very helpfull article. I have never spent more than $200. on a tv before. It will be very difficult to decide. Thank you for the time and effort you put into this article. Very useful and thorough article. Highly recommend reading this before making a purchase. I'm wondering if the author made a typo on page 8, the 'Features' section, though. He states, regarding plasma TV's marketing the term '600Hz Sub-field Drive', that 'Basically, the plasma is showing you sixty frames a minute, but it is flashing each frame ten times.' Did the author mean 'sixty frames a second'? Please pass this off to the author for correction if so, and please inform me via the email included with this comment. I am planning to buy an HDTV today. This is just the info I was looking for. Thanks!! !